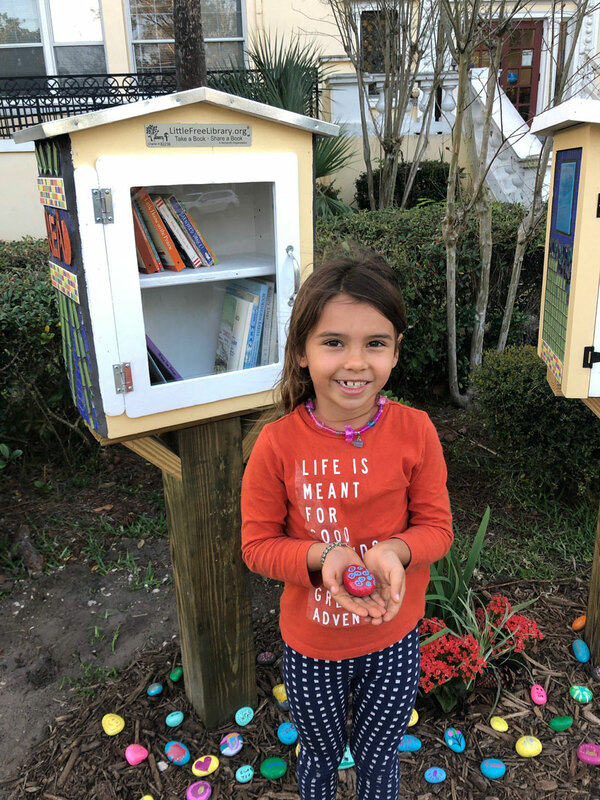 School campus installs Little Free Libraries for two languages - The Resident Community News Group, Inc. | The Resident Community News Group, Inc.
VPK student Joslyn McCray holds a book she borrowed from the Little Free Library. 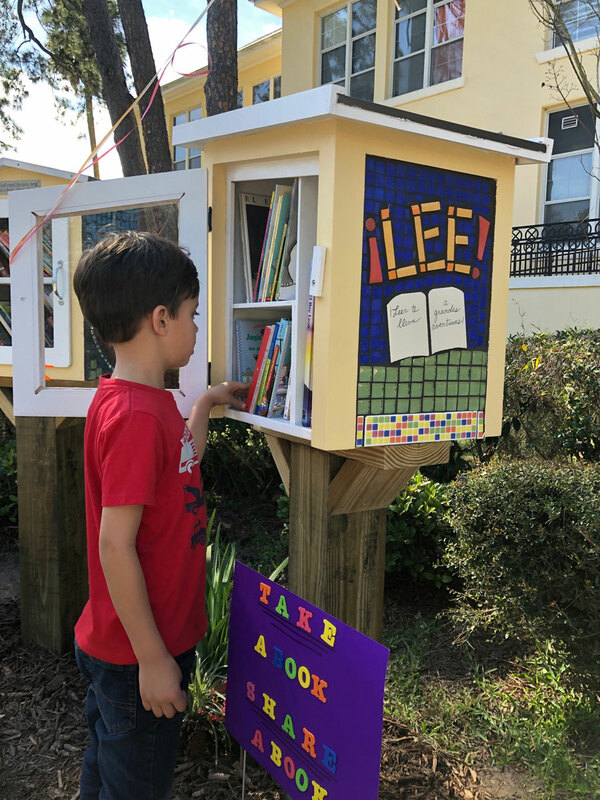 When the West Riverside Elementary School PTA received a generous, anonymous donation they decided to do something special which would benefit everyone and chose to install a Little Free Library, then got idea to purchase two – one for English books and one for Spanish books – to fit the needs of the school. The PTA wanted them to be special and unique and to fit perfectly into the front of the school, so they reached out to Kate Rouh, a mosaic artist who also happened to start her career in mosaic when she was an art teacher at West Riverside for 20 years. She designed and made her first mosaic on the Park Street side of the school in the 2010-2011 school year to commemorate the school’s 100th anniversary. 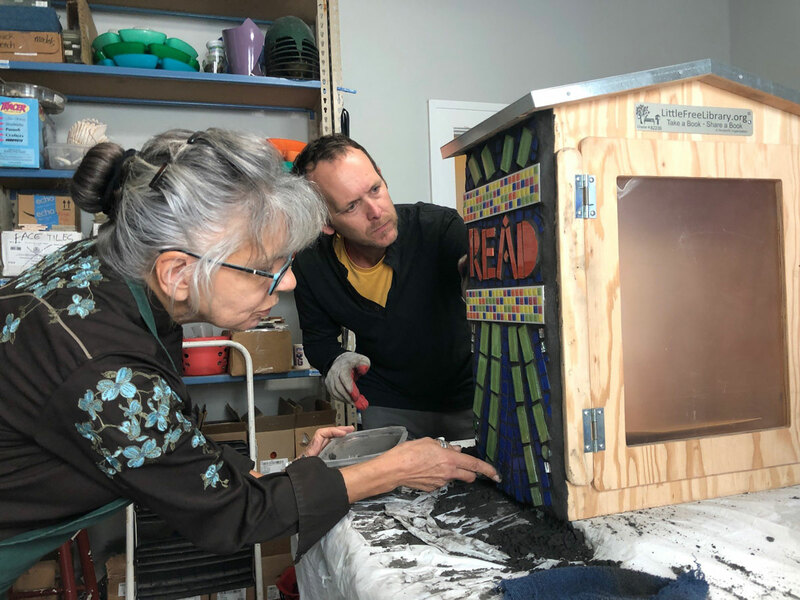 Rouh and her husband, Kenny, donated time and materials and opened their Springfield studio to coach PTA members on how to bring the libraries to life with the mosaic. The community project included families who donated books and stocked the shelves, as well as a handyman who donated his time to install them. The school held a ribbon-cutting March 8 to announce the libraries are officially open for everyone to enjoy.